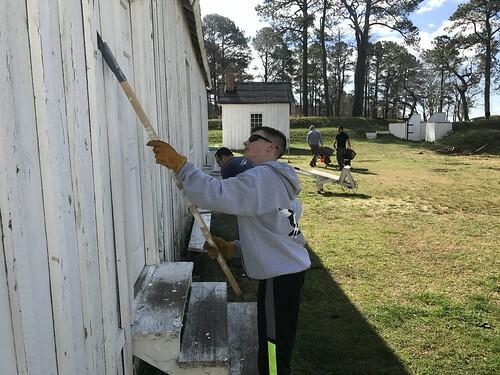 Volunteers are invited to Point Lookout State Park April 6 help maintain and restore the park’s historic Civil War Fort #3 and prison pen, as part of the annual Park Day preservation event sponsored by the American Battlefield Trust. Hosted by The Friends of Point Lookout Inc., Saturday’s cleanup takes place from 9 a.m. to 2 p.m. In addition to helping with the upkeep of this valuable site, volunteers will learn more about the park’s significance and its role during the American Revolution, Civil War and the War of 1812. Weather permitting, tours of the site will be available to participants upon conclusion of the day’s activities. Participants should bring work gloves and meet at historic Fort #3. All tools required for projects will be provided. Light refreshments and light snacks will be provided. Park Day is an annual hands-on preservation event of the American Battlefield Trust, in which thousands of volunteers will participate in 32 states. The American Battlefield Trust is a national nonprofit land preservation organization devoted to the protection of America’s hallowed battlegrounds. More information is available by contacting Bob Crickenberger at 301-872-5688 or by email at crickenberger@comcast.net.